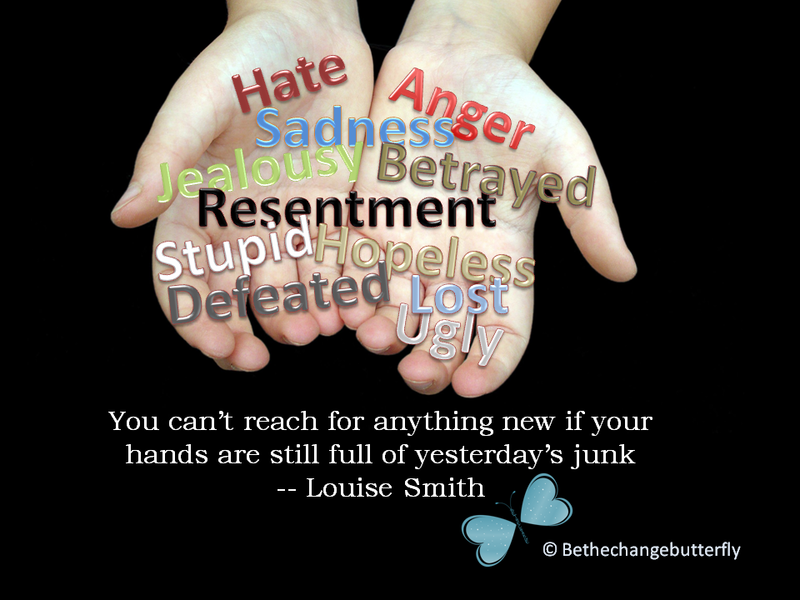 Today’s post is about letting go all of that which weighs you down. The emotional luggage packed full of negative, self-defeating, hate breeding feelings. Everyone carries baggage, even those who appear happy all the time. Sometimes you end up carrying more than you should. Sometimes you carry the baggage for far too long and this ends up exhausting you, emotionally, physically, and spiritually. It’s time to check that baggage out for good and cast it away forever. The emotions you carry over long periods of time become your normal so much that you may not even realize there’s another way to be. It’s important to know yourself and to realize what thoughts and feelings hold you back. Getting to know yourself is the first step because without holding up that mirror and being honest with yourself there’s no moving towards letting go. Once you discover those emotions that weigh you down and realize they don’t do you any good you’re ready to release them. There’s many ways to let go of those things that hold you down and what works for others may not work for you. Like everything else in life, especially when it comes to emotional, physical, and spiritual healing, there is no one size fits all. If you tried leaving those old thoughts behind before and have failed, don’t give up. The fact that you’re trying is all that matters. These thoughts that keep popping in your head, those emotions you hold onto that don’t really serve you now have been built over years, sometimes decades. You can’t expect to get rid of them over night. Writing letters to yourself or to others (then burning them, shredding them, or flushing them down the toilet), meditating with guided imagery, taking a ritual bath for the purpose of washing away all of that which no longer serves you, punching it out on a gym bag, or simply allowing yourself to cry are all ways to release and let go of that negative baggage. Talking about those feelings or thoughts you have, blowing bubbles, naming them the thoughts, and feelings you want to get rid of, then popping them may also help. Being mindful of when those negative feelings creep up then thinking of what you would say to a friend if they had those thought may help. These are all just a few ways to let go and to get rid of that luggage that weighs you down. Be creative; think of your way of doing things to free yourself. Healing takes time. Healing takes determination. Healing takes patience. Be gentle with yourself. This is all part of the process and this is part of the journey to becoming a better you. This entry was posted in Be the Change, Be the Change Fitness and tagged achievements, baggage, Be the Change, belief, Bravery, Courage, emotional healing, Letting go, Luggage, mindfulness, spiritual healing. Bookmark the permalink.